This month we welcome Chris Barton to our inteview series. Chris has been a prolific and successful author and a devoted fan of our chapter for years. He has a sense of joy and gratitude that is the mark of a contented writer, making his way in this world with some pretty great people by his side, both real and imagined, historic and present-day. We are delighted he is here to share about his life and work. I grew up in Sulphur Springs, Texas, as did my dad, as had his mom, as had her parents. Coming of age in a place where my roots went so far back, where people had known my family for generations, gave me a sense that folks were watching out for me, that I had a community on my side. That was true when there was sorrow to share, and it was true when there was joy to celebrate. And I get a similar sense of community from other creators of books for children — not only here in Austin, but across the country. I suspect that's one of the things that makes this work and this life so attractive and enjoyable for me. I've been writing for almost as long as I've been reading, and while I had elementary-school flirtations with being a soccer player, paramedic, and President of the United States, the next career I wanted to have was writer. I don't remember when I first had the idea that that's what I wanted to do for a living, but nothing else other than writer ever occurred to me. By the time I joined my high school newspaper staff as a sophomore, there's no doubt that I was on that track. They'd see the first 20 minutes, beginning at 5 a.m., consisting of me starting the coffee and working on Sudoku until the brewing is done. The other sure things would be a walk or run in the morning, 15 minutes or so of working on my Spanish using Duolingo, and another long walk in the evening with Jenny and our dog, Ernie. In between, it all depends on the project at hand, the day of the week, the time of year. My author work on a given day might be actual writing, or it might be researching, or revising, or marketing, or visiting a school, or preparing a speech. Some days we've got kids with us — which means watching Buffy the Vampire Slayer or Gilmore Girls — some days we don't, and regardless we love having friends over for dinner. I often cook. I send our robot vacuum cleaner off on his appointed rounds. Since I left my day job, I get an afternoon nap more often than not. All in all, that someone would see a guy happy as can be with where life has delivered him and in whose company he gets to spend it. Those morning walks and runs are when I work out issues with writing projects. Those evening strolls with Jenny and Ernie often involve conversations about how best to approach aspects of our writing lives. If I didn't get out and move so much, I'd have a lot more problems waiting for solutions. 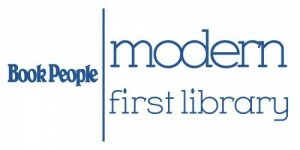 Beyond my family and my books, what I'm most proud of is Modern First Library, a program that I suggested to BookPeople in 2014 and which has been going strong ever since. It builds on book shoppers' inclination to buy a kid a "classic" picture book and leads them to also buy a new picture book that's more reflective of the modern, diverse society that those kids are growing up in. Having a publishing industry foster more diversity among its people and its products is essential, but exposing consumers to those products is just as critical, and I'm so pleased that BookPeople and I have found a way to do it. That it's even more satisfying than I ever could have imagined, assuming that I know when to call it quits each day. Something different from — but at least as enjoyable as — what my previous work led them to expect. 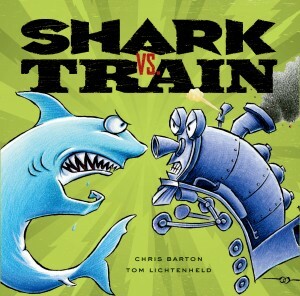 Author Bio: Chris Barton is the author of picture books including bestseller Shark Vs. 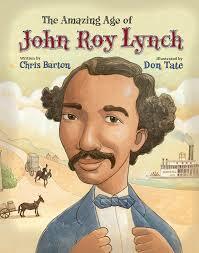 Train, Sibert Honor-winning The Day-Glo Brothers, and The Amazing Age of John Roy Lynch, a 2016-17 Texas Bluebonnet Master List book. 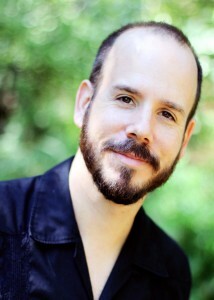 His new books in 2016 include Mighty Truck, 88 Instruments, and Whoosh! : Lonnie Johnson's Super-Soaking Stream of Inventions. He visits lots of schools and has eight more books on the way in 2017-18 and could probably use a nap. Chris and his wife, novelist Jennifer Ziegler (Revenge of the Flower Girls, How Not to Be Popular), live in Austin, Texas, with their family. 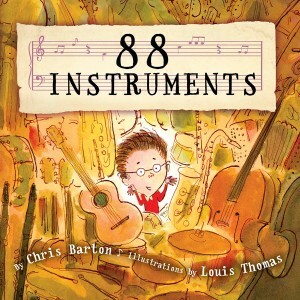 For more information about Chris, his books, and his presentations to students, writers, educators, and librarians, please visit www.chrisbarton.info.